This is a super artist postcard image! It pictures a beautiful society woman with unusual hat. She holds a tiny lap dog. Her boyfriend / husband stands behind her. The card front reads "Rivals". A super unsigned artist drawn postcard image! A great addition to your artist signed collection! 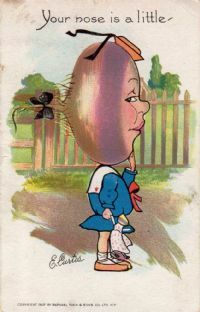 Here's a super postcard showing a strange character with an onion as a head !!! 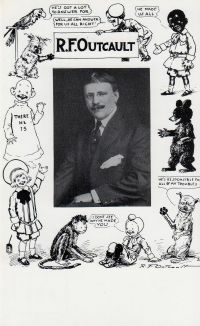 It is an original artist signed postcard view. The card has a nice early image a weird fantasy character with an onion as his head! 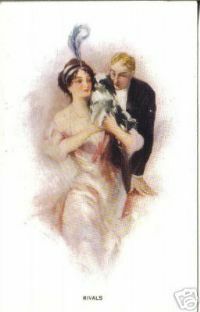 Card is from the Tuck & Sons Valentine Series No. 2 The Garden Patch. 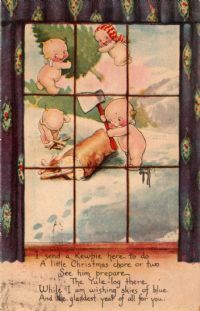 Card front reads "Your nose is a little...". Card back is divided and postally unused. Condition-Fair to good with some toning and small upper right corner crease as shown.